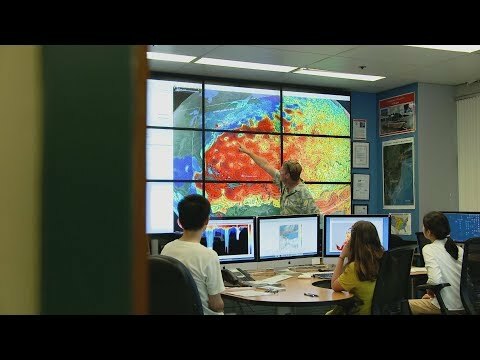 Share the post "More Persistent Weather Patterns in U.S. Linked to Arctic Warming"
Land surface temperatures from December 26, 2017 to January 2, 2018, compared with the 2001 to 2010 average for the same eight-day period. 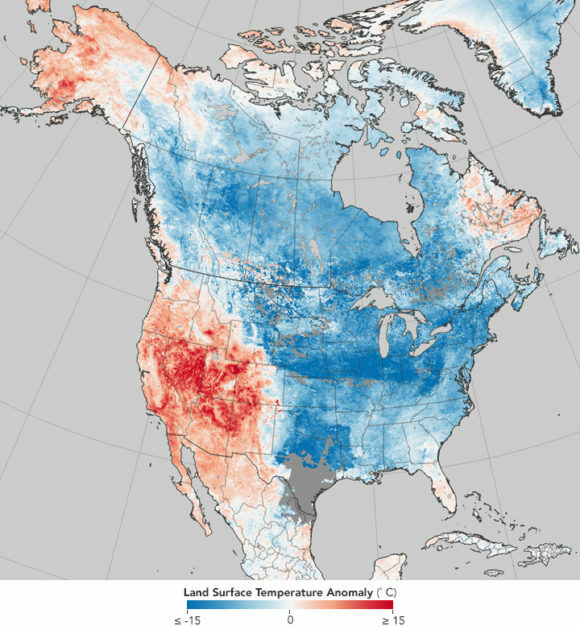 The persistent warm West and cold East pattern that was so prevalent last winter caused a western drought that led to summer fires, a prolonged cold spell in much of the East and a parade of nor’easters along the East Coast. Overall, dry and wet spells lasting four or more days occurred more frequently in recent decades, according to the study published online in Geophysical Research Letters. The frequency of persistent large-scale circulation patterns over North America also increased when the Arctic was abnormally warm.